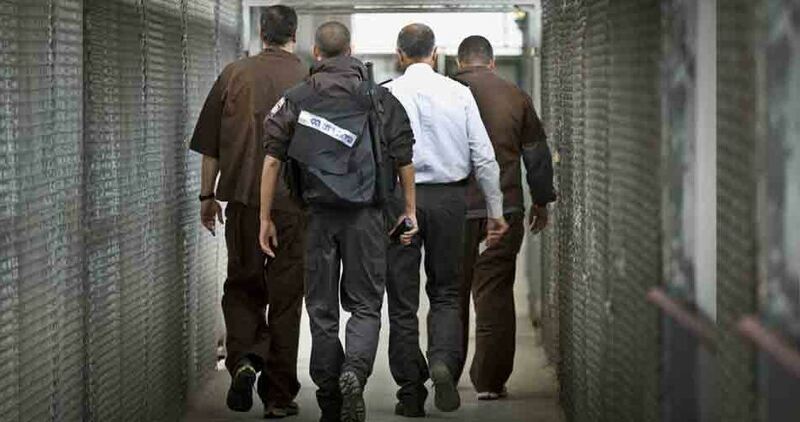 The Israeli occupation authorities extended the remand of the head of the Palestinian Prisoners’ Society (PPS) in Occupied Jerusalem, Naser Qaws. Lawyer Mufeed al-Haj, from the PPS, said in a Friday statement that a hearing is expected to be held at the Israeli Magistrate’s Court to decide on al-Qaws’s case. The Israeli occupation forces arrested Qaws overnight after they summoned him to questioning at the Mascoubiya detention center. Israeli authorities on Friday blocked two Irish nationals from entering 1948 Occupied Palestine over “plans to disrupt security forces”. The Israeli immigration authorities banned the two Irish nationals who headed a group of 27 others from Ireland entering Israel as tourists. The authorities claimed they investigated them but they did not reveal the real reason for their arrival and they allegedly had other plans for their entry. The rest of the group were allowed to enter 1948 Occupied Palestine after the two leaders were returned to their country. According to Haaretz Hebrew newspaper, the two were previously denied entry to 1948 Palestine for their participation in solidarity events with the Palestinian people. A Palestinian activist from ‘Ara was given a six-day house arrest order by Israeli police on Monday, after her home was raided and searched. Maya Yones, a well-known political activist, was also banned from entering the West Bank or leaving the country. Israeli authorities justified the measures on the basis that she is suspected of “incitement” and contacts with enemies of the state. Photographs from her home after the Israeli police raid showed a significant amount of damage to her property and belongings. Yones, for her part, has accused the Israeli authorities of targeting her for nothing more than sharing Palestinian and Arab news links on her personal Facebook page, and called her arrest and house arrest an attack on legitimate political expression and activism. According to reports, Yones, in addition to her activism against Israeli state repression, is also a sharp critic of the Palestinian Authority’s “security coordination” with the Israeli military, and of the punitive measures imposed on the Gaza Strip. The Israeli Transport Minister Yisrael Katz has approved the construction of a light rail service between the illegal settlement of Ariel in the northern occupied West Bank and the cities of Rosh HaAyin and Petah Tikva in central Israel. The Israeli Ministry of Transport expects the 35.5 kilometre project to cost at least 4 billion shekels ($1.1 billion) upon completion in 2025. He explained that the next phase of the project could include linking the light train rail with the train lines in Tel Aviv. Though Katz backed the plan it is yet to be formally approved. Israeli occupation forces killed three Palestinian civilians in the West Bank and Gaza Strip during the first two weeks of March, a UN agency reported yesterday. The three fatalities included a demonstrator and a farmer. Some 500 Palestinians were also injured by Israeli forces over the same two-week period. According to UN OCHA, the violence brings the total number of Palestinians killed by Israeli occupation forces in 2018 to 18, with some 2,000 injured across the occupied Palestinian territory. 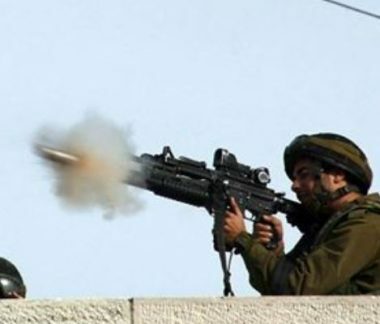 On 10 March, the report states, a 22-year-old Palestinian was killed with live ammunition in ‘Urif village near Nablus, “during clashes following the entry of armed Israeli settlers”. Then on 12 March, a 24-year-old Palestinian was shot in Hebron, as Israeli occupation forces suppressed a demonstration. UN OCHA noted that while the Israeli army claimed the man was involved in throwing Molotov cocktails, “Palestinian eyewitnesses indicated that he was not involved in the clashes when he was shot”. In the Gaza Strip, meanwhile, “a 59-year-old Palestinian farmer was shot dead by Israeli forces” on 4 March “while working his land near the perimeter fence surrounding Gaza, east of Khan Younis”. According to a human rights group, “the incident occurred at around 200 metres from the fence”. In that context, UN OCHA reported that since the beginning of 2018, there have been “at least 142 incidents of opening of fire at Palestinian farmers and fishermen reported in the Access Restricted Areas (ARA), resulting in 2 fatalities and 11 injuries”. Just during the two-week reporting period, one incident saw 11 fishermen “forced to take off their clothes and swim to Israeli naval boats, where they were detained and their boats and fishing nets seized”, while Israeli airplanes also “sprayed herbicides on farming land near the fence in northern Gaza”. 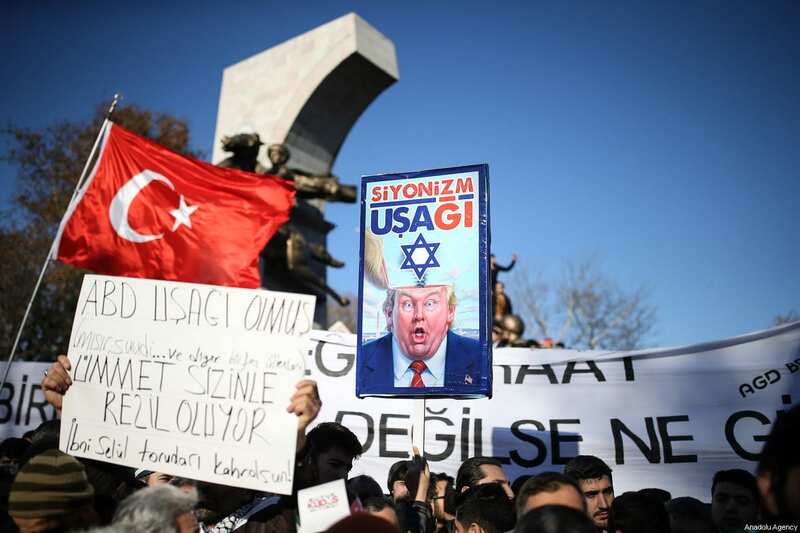 On the 6 December, US President Donald Trump recognised Jerusalem as the capital of Israel, causing widespread controversy and anger across the world. Whilst the announcement was nearly unanimously rejected by the international community, it has had severe implications for the Israeli-Palestinian conflict and the US’ relationship with the region as a whole. 100 days after the announcement, Trump’s decision continues to dominate headlines as the fate of the Palestinian people hangs in the balance. Since the 1995 Jerusalem Embassy Act, the heads of both political parties in the US have signed a waiver every six months to prevent the American embassy being moved from Tel Aviv to Jerusalem. Under international law, Jerusalem’s sovereignty is in abeyance, meaning in a state of temporary disuse or suspension. Israel’s annexation of West Jerusalem since 1948 was a violation of the UN resolution 181 which partitioned Palestine, under which the city was supposed to be internationally administered. East Jerusalem is considered occupied territory since Israel took control of the area in 1967, as recognised in the UN resolution 446 adopted on 22 March 1979, rendering all Israeli claims to the area as illegal, null and void. After the election, the pro-Israel lobby in the US and the settler community in Israel pushed for Trump to abide by his campaign promise and recognise Jerusalem as the capital of Israel. The Trump administration initially attempted to evade signing the waiver in December and relocate the American embassy without a formal announcement on the city’s status, but given the lack of adequate diplomatic facilities in the city, then chose to recognise Jerusalem as the capital of Israel to appease the public. On Wednesday 6 December, President Trump announced that the US would formally recognise Jerusalem as Israel’s capital and would start preparations to move the embassy to the historic city. The aftermath of Trump’s announcement saw all Palestinian parties unanimously reject the decision, with the Palestinian Authority (PA) pledging to cut all contact with the US and calling for Palestinian unity. Hamas called for a new intifada to counter the decision. 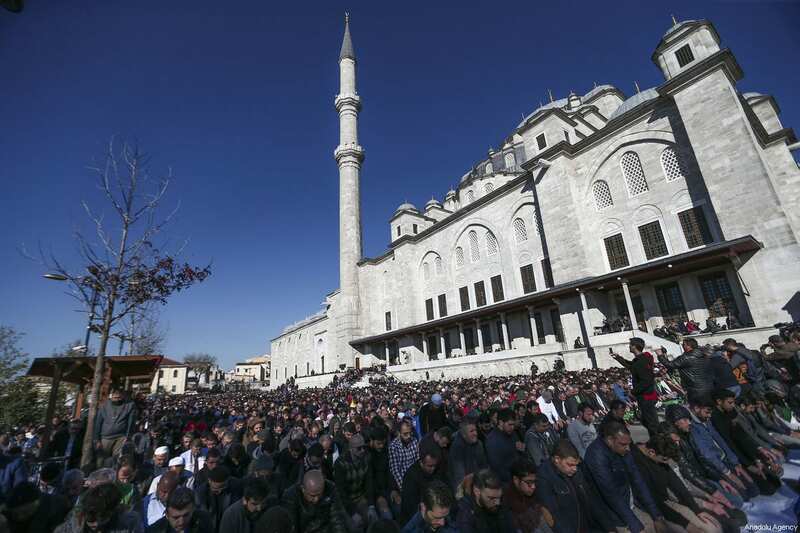 Protests took place across the occupied territories the following day, and Palestinian leaders called for three “Days of Rage” to begin after Friday prayers the next day. Demonstrations took place across the occupied territories over the following weekend, with thousands of Palestinian taking to the streets in Jerusalem, Hebron, Bethlehem, Ramallah, Nablus, Tulkarm and in the Gaza Strip. Over the next four days, Israeli occupation forces killed four Palestinians and wounded 1,632 others. One week later the number of those injured had risen to 3,400, with over 340 Palestinians having been arrested. As of 12 March, 14 people have been killed in the West Bank and East Jerusalem by Israeli forces since Trump’s announcement, with at least 5,293 injured as a result of inhaling tear gas, enduring beatings or being fired upon with rubber bullets or live ammunition, according to UN OCHA. As of 11 March, 19 people in Gaza have been killed and at least 1,083 injured as a result of Israeli occupation forces’ heavy-handed response to unarmed Palestinian protesters. At least 2,182 Palestinians have been arrested or placed under administrative detention since 6 December, many during protests and others during the regular night-raids conducted in towns and villages in the occupied West Bank. Some ten days after Trump’s announcement, Palestinian teenager Ahed Tamimi was filmed forcing Israeli occupation soldiers off her family’s property, after they invaded her home and shot her cousin in the head. She was arrested after the video went viral four days later and is currently awaiting trial in a military court. Her case has gained international support with NGOs and British politicians calling for her release. The following weeks also saw an escalation of violations against Al-Aqsa Mosque, with over settlers storming the compound over 200 times after the announcement, accompanied by a heavy armed police presence. 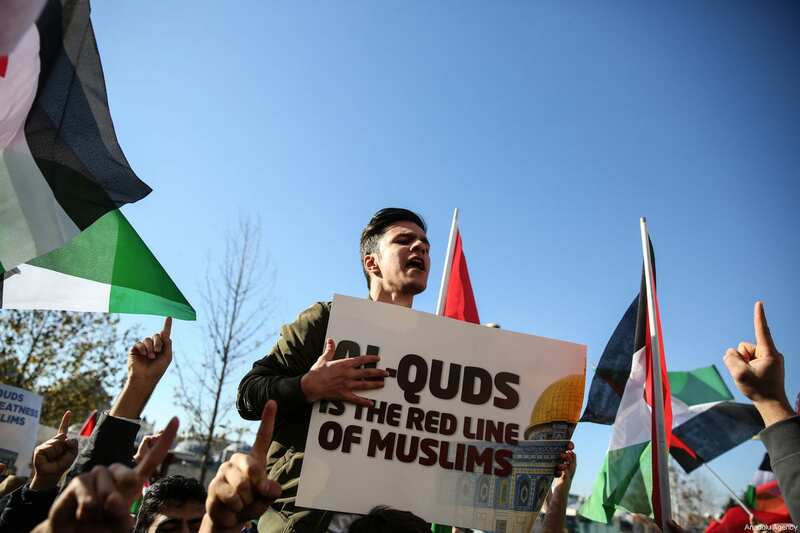 Weekly protests have continued to take place in the Palestinian territories, with Israel regularly dispersing demonstrators with tear gas, rubber coated steel bullets and live ammunition. Trump’s decision was met with condemnation from the international community, with protests taking place across the Middle East, as well as in Malaysia, Indonesia, Afghanistan, Somalia, Pakistan, Bangladesh and South Africa. Much of Europe saw large protests, including the UK, Germany, Macedonia, Austria and France, as well as demonstration in major US cities. World leaders also expressed their disapproval, with French President Emmanuel Macron and German Chancellor Angela Merkel both emphasising that their countries did not support the move, whilst EU Foreign Policy Chief Federica Mogherini voiced “serious concern” over the decision. British Prime Minister Theresa May also stated that she disagrees with the US’ plan, labelling it “unhelpful in terms of prospects for peace in the region”. Numerous Latin American countries including Venezuela, Cuba and Argentina emphasised that the announcement was a violation of international law and would derail peace efforts. Former Saudi intelligence chief Prince Turki Al-Faisal criticised Trump in one of the most vehement reactions from the Kingdom, which otherwise remained notably silent in the aftermath of the announcement. Dozens of prominent writers, actors and musicians, including Tilda Swinton, Mark Ruffalo, Roger Waters, Peter Gabriel and Brian Eno also condemned Trump’s move to recognise Jerusalem as the capital of Israel, in a letter sent to the Guardian. UN Secretary-General Antonio Guterres said it was “a moment of great anxiety” and urged the US to reconsider. On Friday 8 December, two days after the announcement, the UN Security Council convened in New York to discuss President Trump’s announcement. When voting to condemn the decision, the US vetoed the resolution, accusing the UN of violating its national sovereignty. 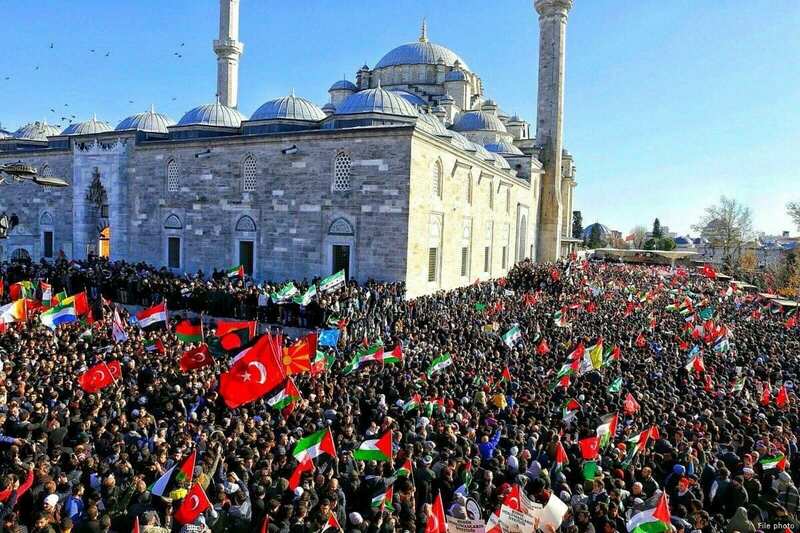 The Organisation of Islamic Cooperation (OIC) also held a meeting in Istanbul the week after the declaration, with leaders from some 57 Muslim countries in attendance, including Palestinian President Mahmoud Abbas. Abbas called on world powers to recognise East Jerusalem as the capital of Palestine and said that the US had discounted itself as an honest broker in the peace process. Two weeks after the announcement, the UN General Assembly convened at the request of a block of Arab nations and Turkey, to vote on a non-binding resolution condemning the decision. Prior to the vote, Trump threatened to cut funding to the countries that would vote against them, with US envoy to the UN Nikki Haley sending threatening letters to member states, urging them to vote against the motion. Haley further tweeted that the US would be “taking names” of those who chose to criticise its decision. A total of 128 countries voted in favour of the resolution, thereby rejecting the US’ decision. Nine members voted against the motion, including the US, Israel, Guatemala and Honduras, and 35 countries abstaining, including five EU states, Australia and Canada. In January the Arab League further announced that it would embark on a diplomatic drive to persuade the United Nations to recognise a Palestinian state with East Jerusalem as its capital. Whilst Trump had opted not to move the US embassy to Jerusalem due to lacking a suitable location, the move was once again proposed following the recognition of the city as the Israeli capital. The embassy is now due to be moved in May and will temporarily be hosted in the Arnona neighbourhood, recognised as occupied territory under international law, whilst a future building is constructed. Guatemala, Honduras and Paraguay have also announced that they will follow he US’ example and move their embassies to Jerusalem. Following the announcement, the US declared that it would be cutting $65 million worth of aid from the UN Palestinian refugee agency UNRWA, plunging the organisation into a funding crisis. So far, the Trump administration has not indicated it will fulfil its pledge to the agency of $300 million for this year. UNRWA has since launched an international fundraising campaign to reclaim its lost finance, estimating its deficit to amount to some $446 million. The peace process has also been severely impacted by the decision, with the PA initially cutting all contact with American officials, but later clarifying that some channels of communication had remained open. The PA has since stated that the US may be part of the negotiations, as long as other parties are involved as part of a multilateral peace process. It has called upon European states as well as countries such as China and India to play a role in the dialogue. The US is reportedly making progress on a peace deal, with Haley stating that whilst the Trump administration was “ready to talk peace”, they would not “chase” the Palestinians. Preliminary reports indicate that the peace deal will not call for a two-state solution and will not urge a “fair and just solution” to the issue of Palestinian refugees looking to return, as previous proposals have done. Syrians at home and abroad commemorated the seventh anniversary of the Syrian revolution which began in March 2011, vowing they would carry on with the struggle against the Assad regime until they fully regain their rights to freedom and dignity. 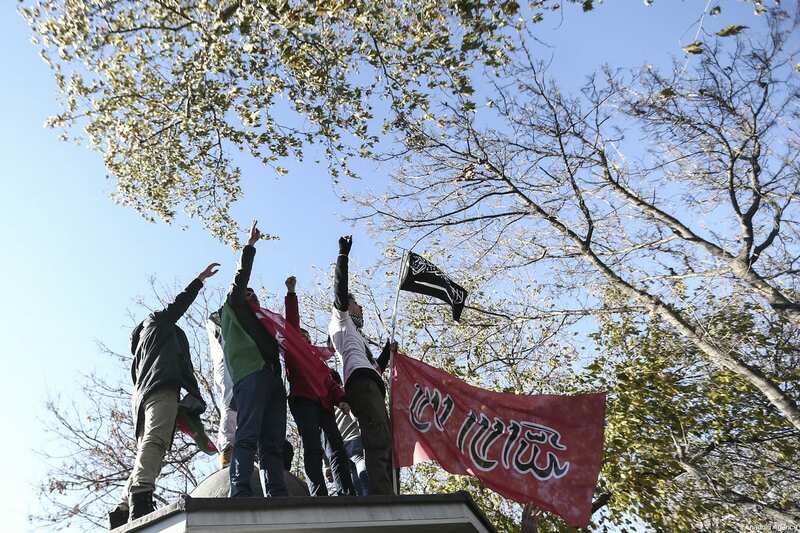 Syrian activists held sit-ins in the liberated areas as well as in neighboring countries and some European capitals. The celebrations will continue until Sunday, March 18. Israeli soldiers injured, on Thursday evening, 38 Palestinians in the al-‘Ezariyya town, east of occupied East Jerusalem. The soldiers invaded the town, attacked many Palestinians who protested the invasion, and fired gas bombs, concussion grenades and rubber-coated steel bullets. The Palestinian Red Crescent Society (PRCS) said its medics rushed to the town and provided treatment to nine Palestinians who were shot with rubber-coated steel bullets. It added that the medics also treated two Palestinians, who suffered burns, and 27 who suffocated due to the severe effects of teargas inhalation. 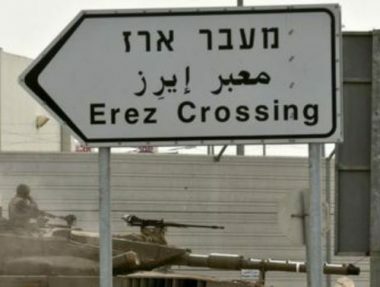 Israeli soldiers abducted, on Thursday evening, a Palestinian patient from the besieged Gaza Strip, at the Erez Crossing, near Beit Hanoun, in the northern part of the coastal region. Media sources said the patient, identified as Naim Kotkot, filed a permit application, asking to be allowed to leave Gaza and head to the West Bank for medical treatment. His application included medical reports, and a referral to a Palestinian hospital in the central West Bank city of Ramallah. The Israeli authorities demanded to talk to him before discussing his permit application, and instead abducted him when he went to Erez for the interview. 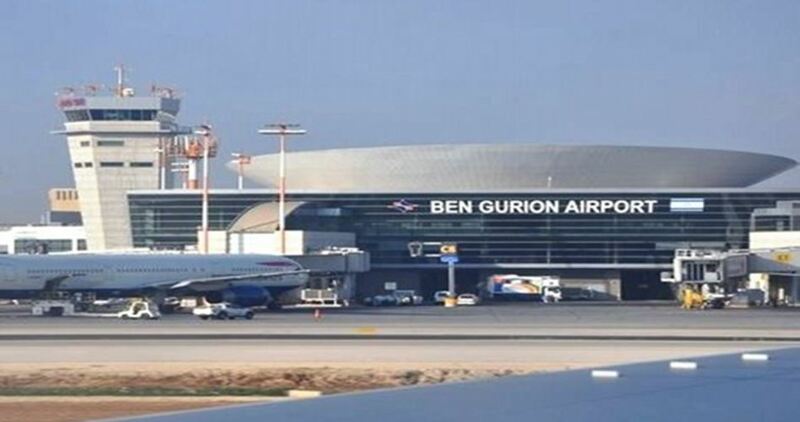 Kotkot is the second Palestinian to be abducted at the terminal in less than one week, after the army abducted a man, who works for the Palestinian Telecommunications Company (Paltel), and was on his way to the headquarters in Ramallah.